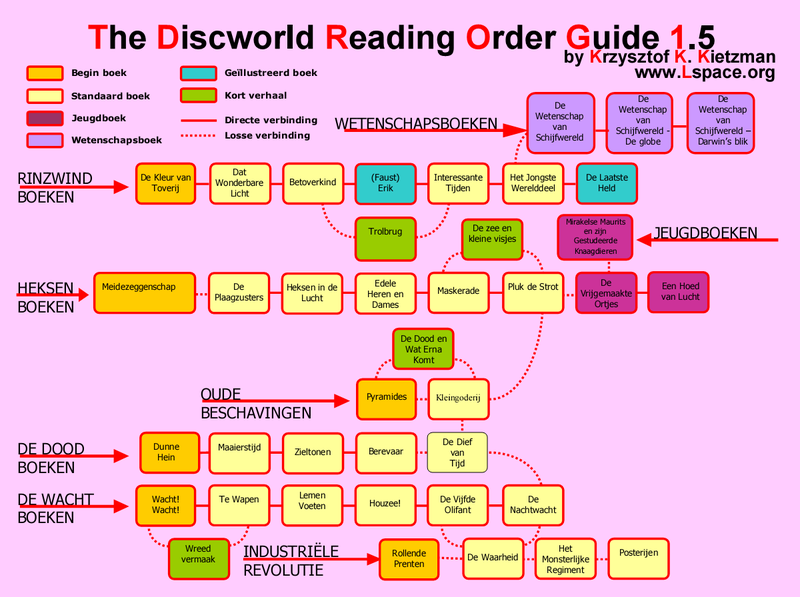 Which Discworld book should I read first? 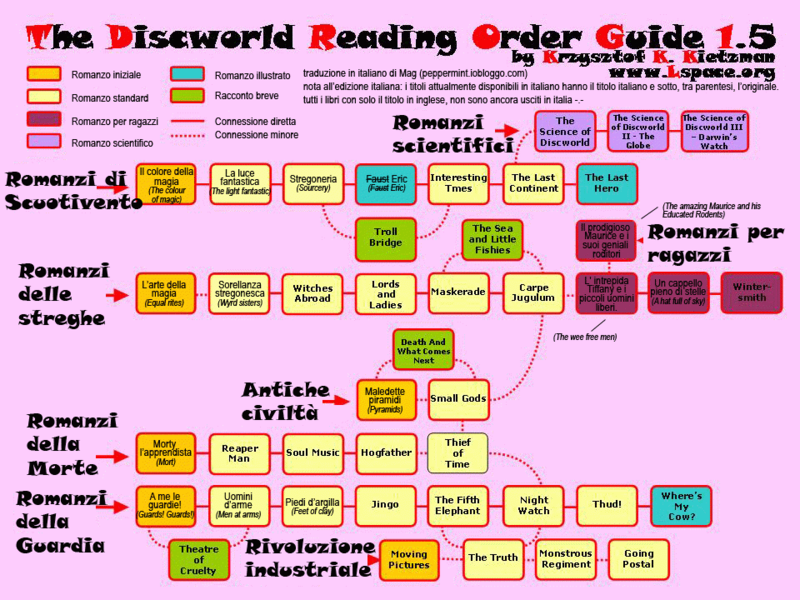 In what order should I read the Discworld books? 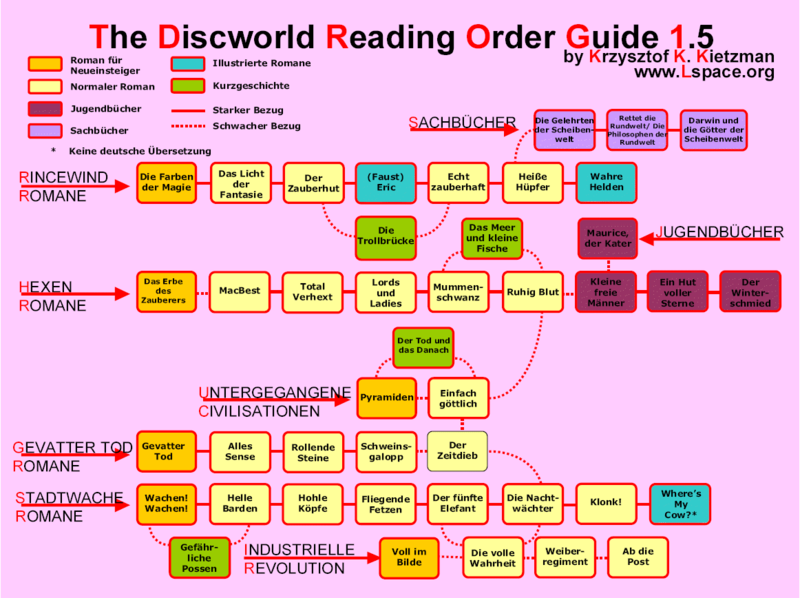 The following Reading Order Guide was created by Krzysztof Kietzman who was inspired by the original ASCII Guide. If you would like to help by translating the Guide into other languages, please contact esmi@lspace.org. 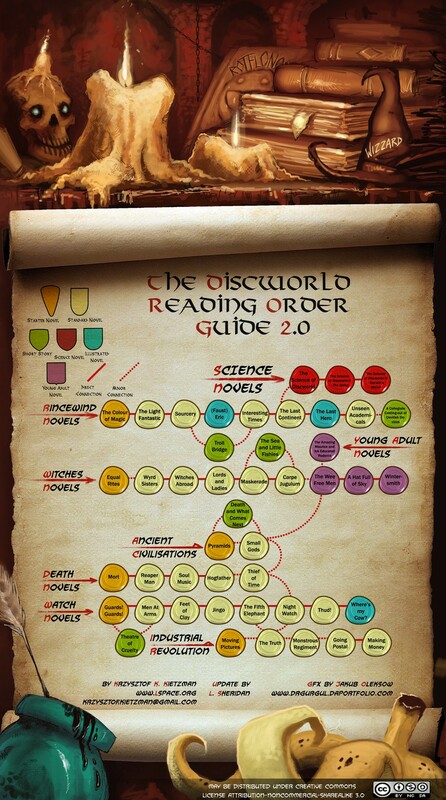 Please note that only 12 Discworld books have been translated into Hebrew thus far. 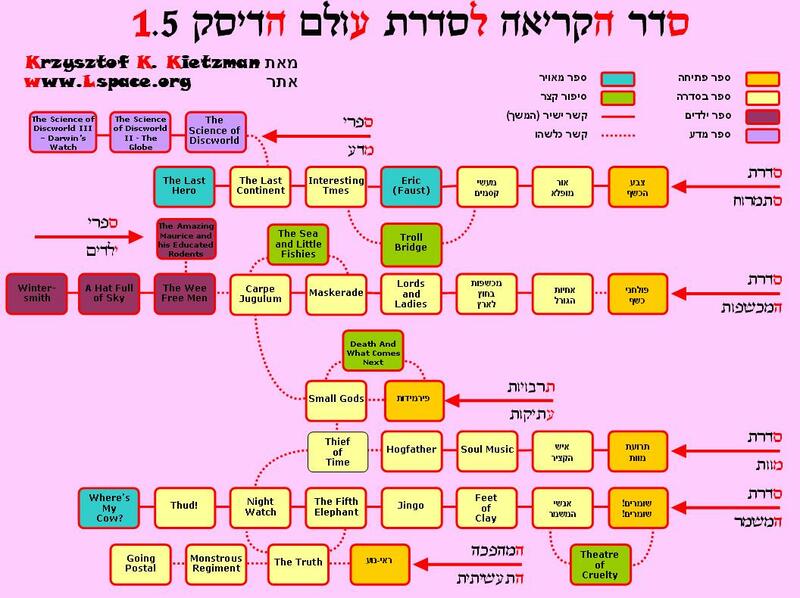 The remaining books appear in the Hebrew version of the Guide with their original (English) name. However the translated version is, appropriately, right-to-left. Blank JPG - for use by translators. Following these links will take you to external web sites that are not part of the L-Space Web itself.